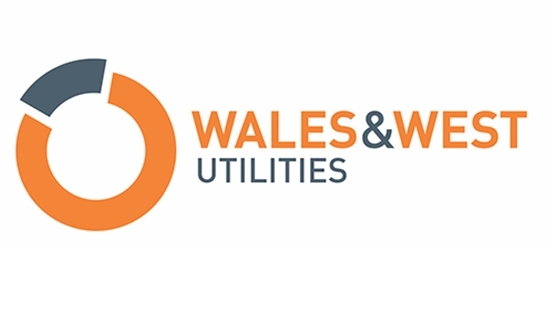 Wales & West Utilities core business is the safe and secure transportation of gas across its distribution network throughout Wales and the south west of England. With a 35,000km network, the company transports gas to the homes and businesses of 2.5 million consumers across a geography covering a sixth of the UK, serving a population of more than 7 million people. For Wales & West Utilities field engineers, the Panasonic Toughbook CF-19 rugged notebooks are their primary tool for communication, information and reporting in the organisation’s efficient emergency response and metering operation. As well as the ergonomic design and computing power of the market leading rugged notebooks, the support from the Panasonic Toughbook professional services team, called ProServices, has been a major contributing factor to the long-term success of the relationship. 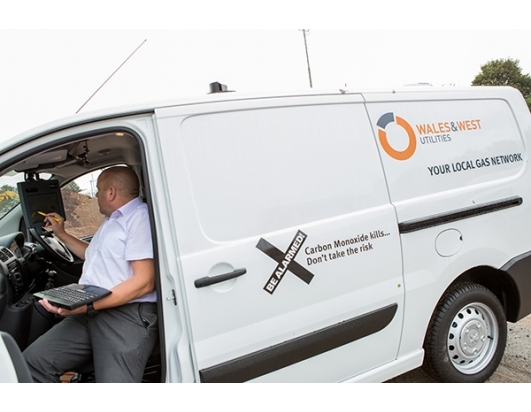 Wales & West Utilities has its fleet of 370 field engineer vehicles equipped with Panasonic Toughbook computers, including their own purpose built docking stations with separate ergonomically designed 10 inch screens, audio speakers and vehicle antenna. The ProServices team is responsible for the design and manufacturer of the vehicle solution and its ongoing support. 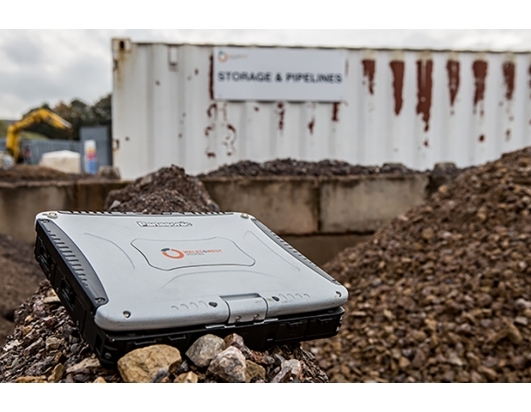 With the fleet ranging from vans to pick-up trucks and 4x4 vehicles, the initial design and installation of the Panasonic Toughbook solution was no simple task, explained Andrew Pettiford, Transport Manager at Wales & West Utilities. “We wanted the vehicles to become the engineers’ office when they arrived at a job,’ said Andrew. “The Panasonic Toughbook CF-19 is docked securely and out of sight in the back of the vehicle. There is then a screen, keyboard and speakers in the front of the cab that can be pulled down and used when the vehicle is stationary. The system is also connected to an antenna in the vehicle for effective 3G communications when in the community and for WLAN updates when in the utility company’s depots. Panasonic ProServices first designed, tested and installed the different vertical and horizontal docking stations for the vehicles using its specialist, in-house CAD designers and manufacturing team. The team then sourced the compatible screen and communication elements of the solution and scheduled the installations, working hand-in-hand with the utility. In addition, when the screen previously used for the solution went end of life, Panasonic found a fresh supplier to replace the unit. The new screen technology was updated with the latest backlit LED display technology and more efficient power use but importantly the screen’s form factor remained the same to make it compatible with the existing solution. During the 8 years that the Panasonic Toughbook solution has been in place at Wales & West Utilities the vehicle fleet has changed quite radically from heavily Vauxhall focused to a mix of vehicle manufacturers. However, each time a new model is chosen or a manufacturer changes the design of a new vehicle, the Panasonic ProServices team is able to adapt the design of the Toughbook solution to fit. This flexibility has enabled Transport Manager Andrew to make the most of his existing fleet and to pick the best new vehicles for the business without having to worry about whether the field engineers’ communication system will be compatible. This flexibility and adaptability was also an important consideration when the company recently carried out a refresh of its rugged notebooks. Following a comprehensive review, the company decided to refresh its devices with the latest model of the Panasonic Toughbook CF-19. “Although the ultimate decision sat with the IT Department, there is no doubt that the fleet considerations, the flexibility of the solution and the support processes in place with Panasonic were an important part of the decision making process,” said Andrew. Panasonic’s reputation for rugged, specialised mobile devices combined with expert design, manufacturing and support from the ProServices team has proved the ideal solution for Wales & West Utilities’ needs.